Ornate carvings on the exterior of the Tomb of Ukit Kan Le'k Tok' at the ancient Mayan ruins at Ek'Balam, near Valladolid, Yucatan, Mexico. The jaguar is a recurring motif, as evidenced by the large stone teeth, etc. 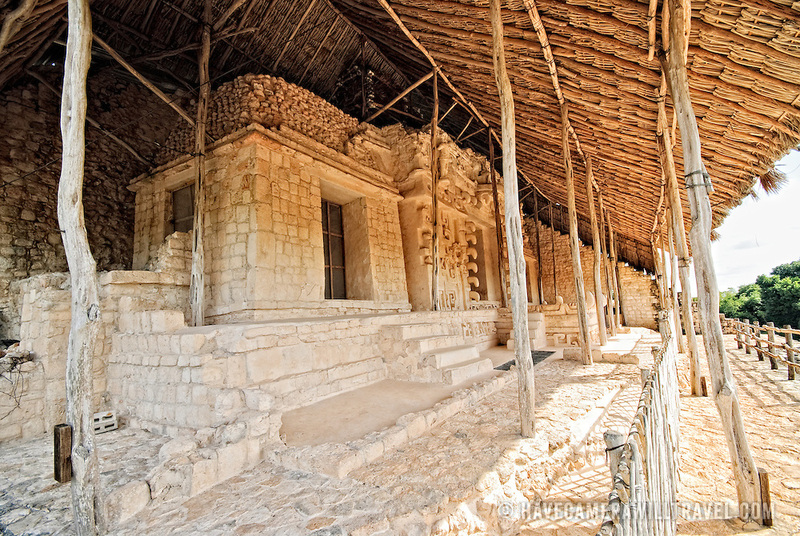 Ek' Balam means "dark jaguar."